This may sound like an easy job, but as all parents know, it’s not. Just as soon as you have tidied up the toy area, so a mini cyclone comes through and destroys all your hard work. 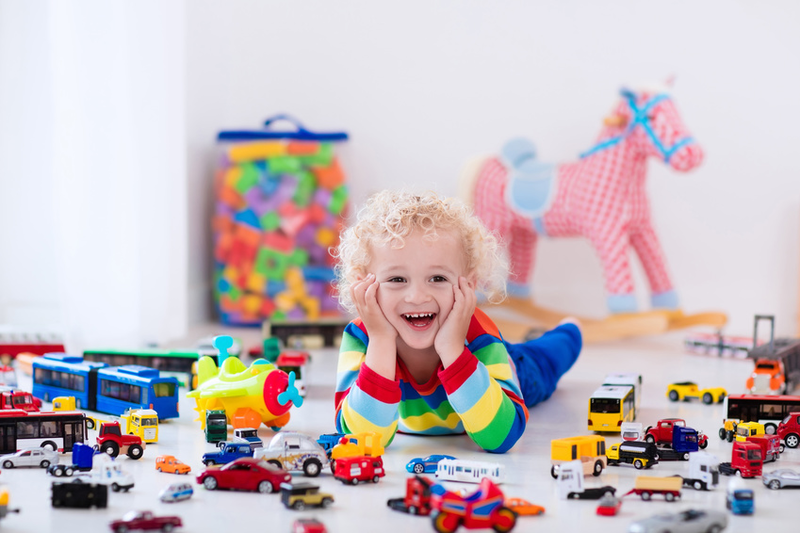 Here are a few tips to help you organise your little one’s play area. •	Whenever possible, buy pieces with built-in storage, such as ottomans, stools, and even beds. •	Skip the tiny kid shelves, and rather buy larger adult-size furniture. This gives you more vertical space and your kids can grow into them. •	Buy the kind of shelving that you can adapt by making wider gaps as you need them. •	Toys that are played with most often should be placed on lower shelves for the kids to be able to reach. •	To make the room look neater, try choosing matching storage containers. •	Use available wall space by installing hanging shelves and hooks.. you will be amazed at how much space this saves you. •	Choosing chalkboard labels to label your storage containers are a big no-no in a kids play area… the beautifully written label will be rubbed off in seconds. Just type the label on plain paper, and cello tape it on. •	The worst thing to have in a play room is… wait for it… a TOY BOX! Why you ask? Think about how messy a toy box gets. It is so easy to just throw everything in. The box never gets organised and the toys never get played with! •	Use containers for little items like Lego, but make sure the containers have lids that are easy for little fingers to open. Better to use bins to encourage them to tidy up after play. •	Try not to store toys on the floor (unless it is a large toy).